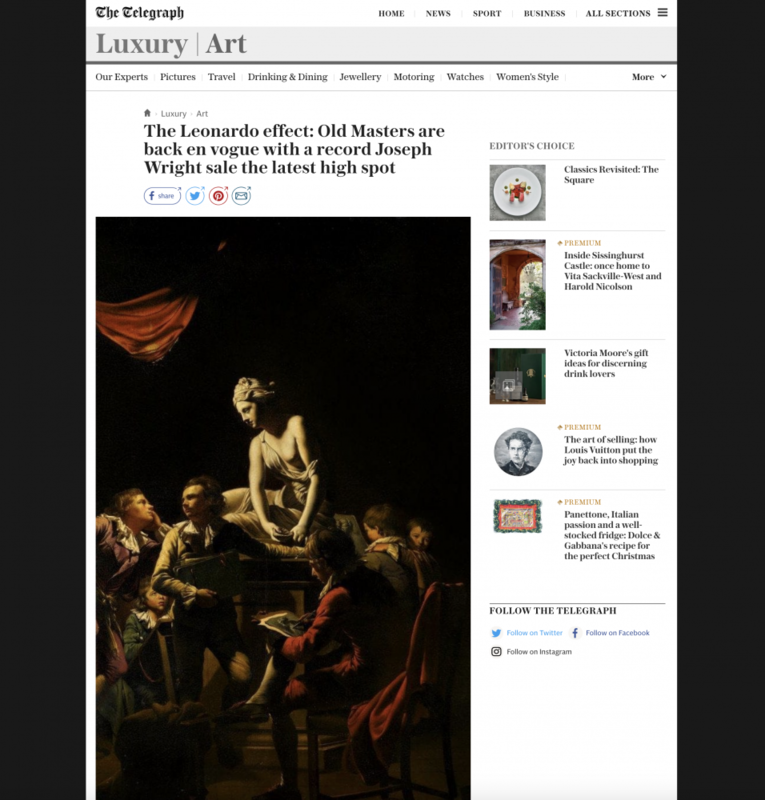 There has been some discussion in the past few weeks as to whether the $450 million (£336 million) paid for Leonardo da Vinci’s ‘Salvator Mundi’ might have a tonic effect on the wider Old Master market which had been in danger of slipping from view. A highlight at Christie’s was a masterpiece of northern European mannerism by Bartholomeus Spranger. The painting had been looted by the Nazis, and was returned last month to the victim’s descendants. The painting was chased by New York dealer Nicholas Hall, but sold for six times its estimate to a Belgian collector, who is repatriating his country’s cultural history and spent £4.5 million at the sale on artists born and working in Antwerp.